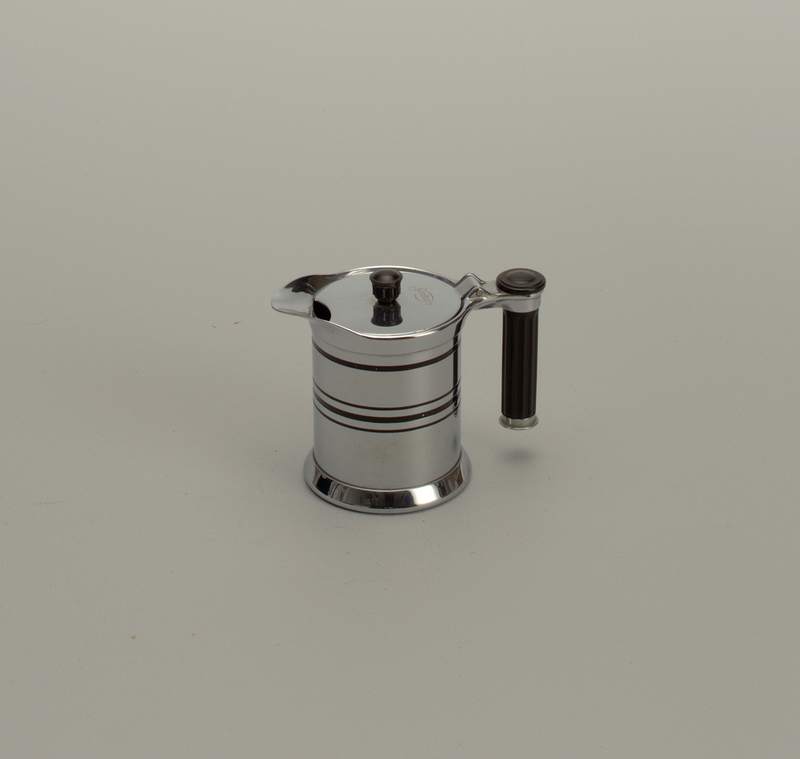 This and 5 other objects are a part of a set whose first object is Coffee Service (USA), 1934. This is a Creamer. It is dated 1934 and we acquired it in 1993. Its medium is chrome-plated metal, enamel. It is a part of the Product Design and Decorative Arts department.